decaff_42 wrote: To those who guessed C-Series, you are CORRECT! So far everything is scratch-made except for the engine fan blades which were taken from the 747/787 and fitted to the engine nacelle. I made ~10 different attempts to get the blades, but nothing looked right. I've learned a few things with this project and I've had a lot of fun with different things, but the one thing that I've had the best effect with is the indent at the horizontal tail. 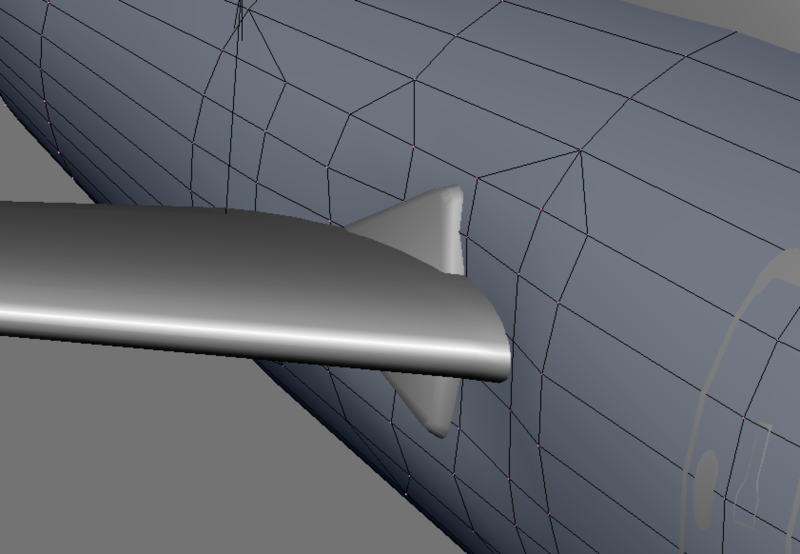 I had tried to make a hard cut indent into the tailcone, but it didn't look right, so I multi-cut the fuselage and then scaled in a small area. It looks a lot closer to the real thing and also uses fewer vertices! Could you please do a Starfly and E-Fair livery for the planes? Here's a picture of the Starfly livery. 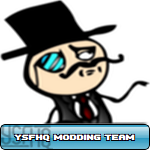 If you'd like to make a request, make it in the appropriate sub-forum. 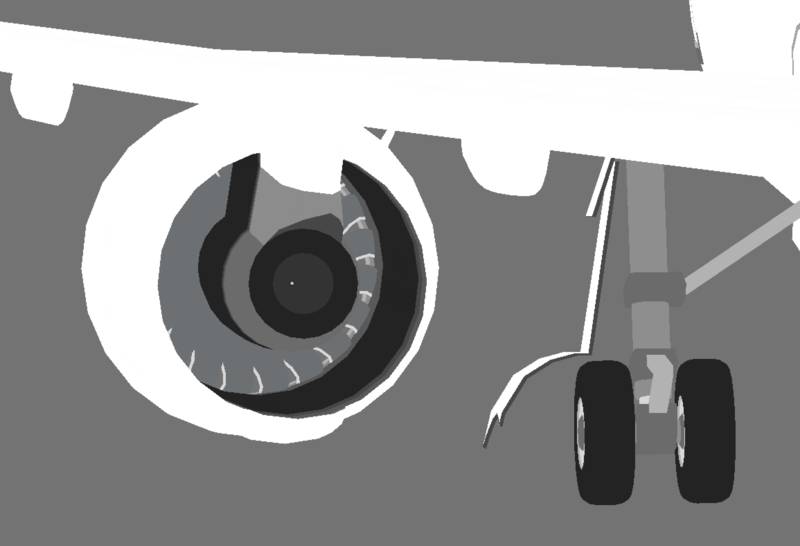 I'm going to try and have the fan blades be visible from behind, but when thrust reversers are engaged, they will be hidden to simulate the closing of the bypass ducting and outboard venting. 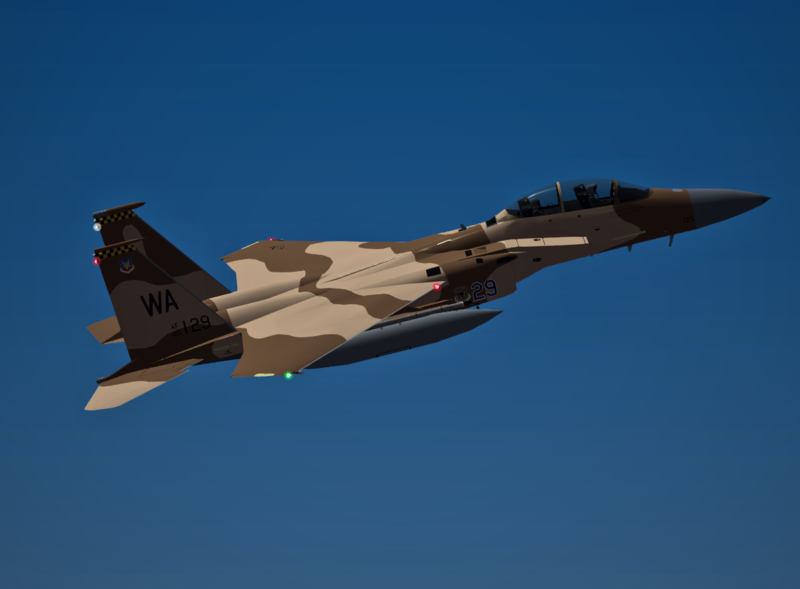 I don't know why, but the small nose coloring on the test aircraft looks cool, so I've put in a "production" version of the coloring. Like with a lot of smaller passenger jets with this configuration, the landing gear are canted backwards when deployed. Starting to add some more animations and details! Things look off shading wise because I still have not applied all the modifiers yet. Are you going to paint it in the USAF Thunderbirds livery? Just joking. Those windows look amazing, and the decals on the wings. This looks great. More work done on the C-Series this afternoon. 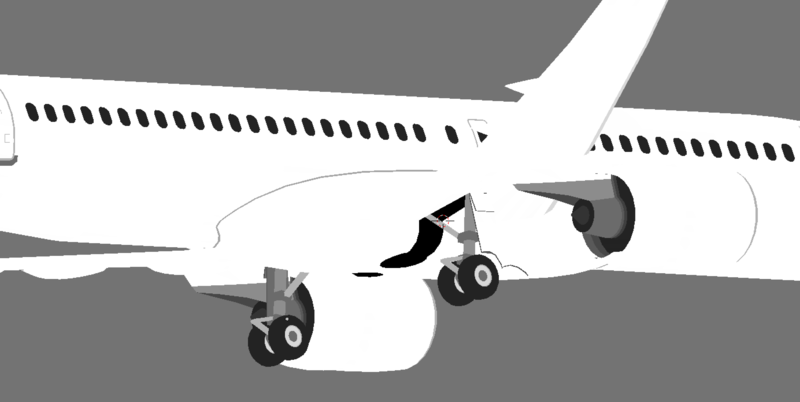 Finally have the nose gear made up. It isn't quite right but it's close enough for me. So After doing more animation testing I have discovered something weird. 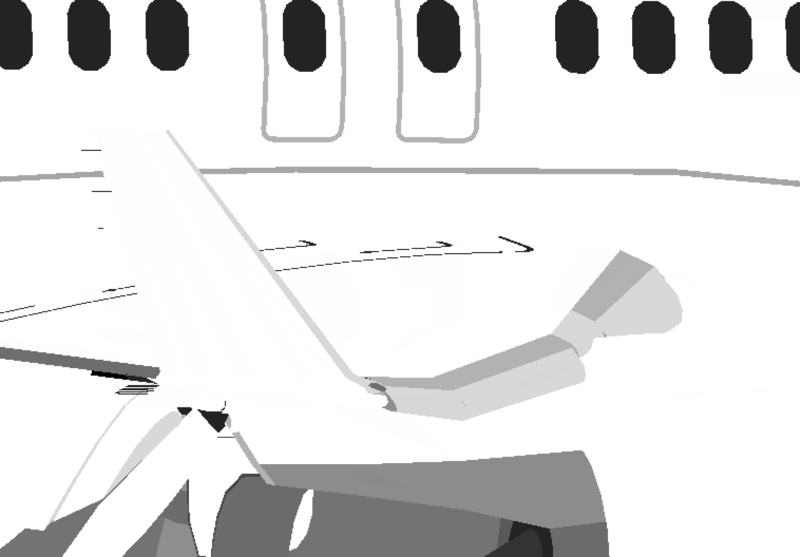 On the left wing, the inner set of spoilers wouldn't deploy, even when I switched up their CLA number (originally 4 for spoiler to 0 for landing gear) in order to verify that I was selecting the correct animation in PolygonCrest, they didn't move. Looking at the animation in Blender I had two keyframes (STAs) defined, however when I opened up the DNM file in a text editor I noticed that this set of spoilers had 3 STAs where the other spoilers had 2 STAs. It was like there was a phantom STA inserted somewhere. I deleted the animations in Blender and when I re-created the animations then everything looked right in PolygonCrest. 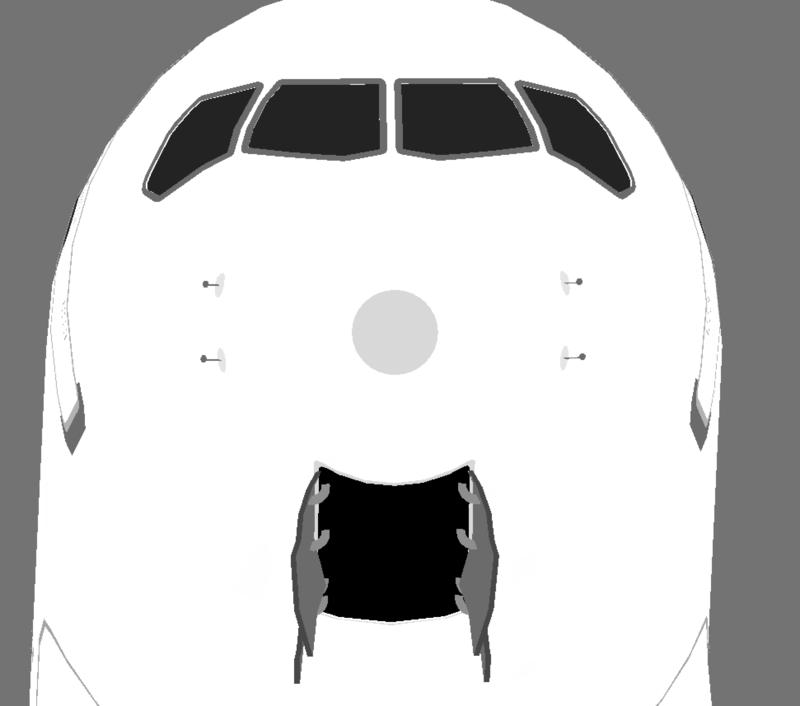 I have also updated the leading edge slats outboard of the engine. Now instead of tapering with the changing wing Chord, the slats have a constant chord from beginning to end. 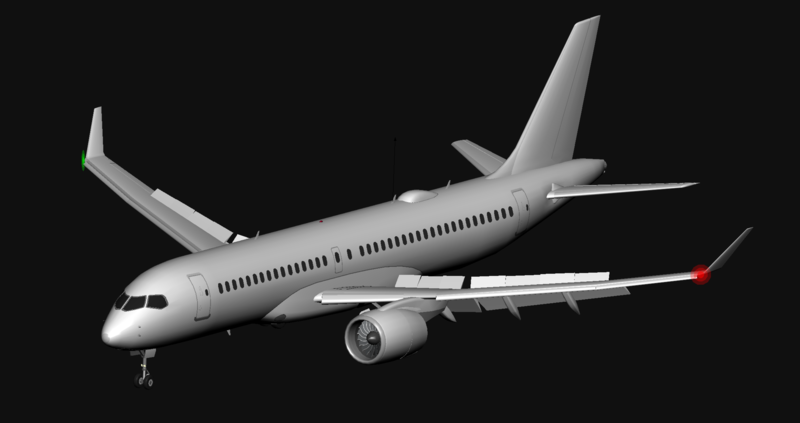 Well I think I've got the outside of the CS300 done. With gear and lights it comes to a slim 1.3mb. I still have to make the cockpit, but I think I can easily fit that in under 5000 vertices, so even with a moderately detailed paint scheme I don't expect the final models to exceed 30k vertices. I'm really proud of the model so far as the only thing that came from another source is the fan blades. I made my lights in a similar fashion to CHF's 777 lights, but different style with fewer vertices. I hope it looks okay in-game. 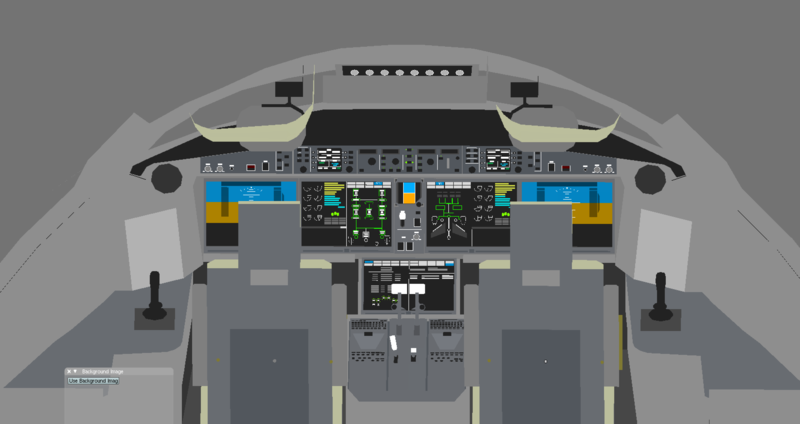 Now to start on the cockpit! Well I still don't have the cockpit finished yet, but the CS300 took it's first flight tonight! I was tempted to just copy CHF's lights but I instead made my own version of them The circle bits are 10 vs 8 vertex circles and the light lens flare is a different taper profile with fewer vertices. Different colors and transparency values, but pretty similar. It may not preform well yet, but it looks good doing it. Will you be painting this in the USAF Thunderbirds livery? Damn Decaff...pushing some serious work out there man, nice work. I finally figured out what the squadron for the first two Australian F-35s. 2 OCU... Once I figured that out I found a good reference image for the tiger! I've got the CS300 cockpit setup pretty good now. My initial target was 5k vertices...this is 9.3k vertices. Still need to do initial flights with it but I think it will work out okay! So... funny story. 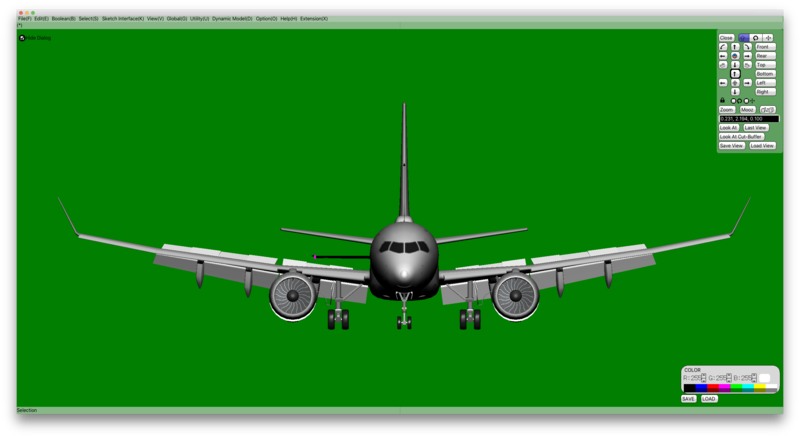 I was digging thru some material online and realized that my CS300 was 40.4m long in blender. In Real life it is 38.5m. Also my windows were about 25 percent bigger than the size quoted in Bombardier materials. 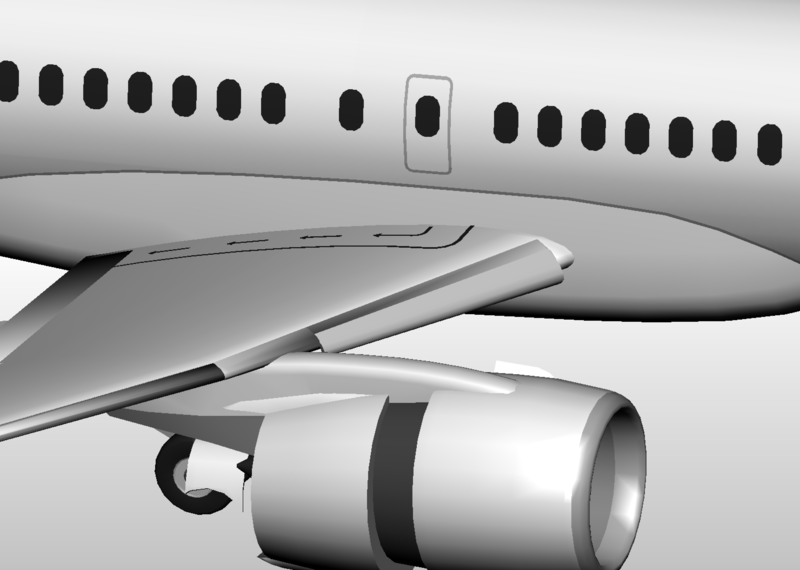 Now my fuselage is the right length and the windows are the right size. Luckily the wings didn't have to change size or else it would have significantly added to the work. Well you caught it in time, that's what matters. That plane looks so cool! 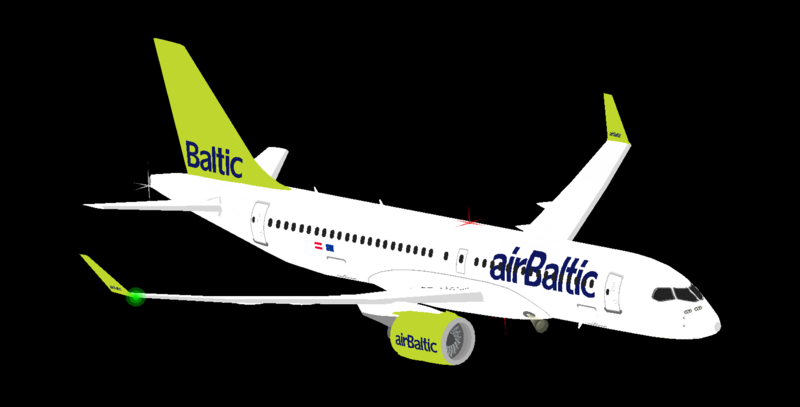 The blanks are up to snuff, just some dat issues to work out on the CS300 (I'm quite happy with the CS100 dat), and so I've moved on to paint schemes. 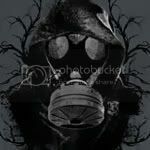 Here are two of the schemes I've gotten done so far.